Honor, the spin-off brand from Huawei, has officially unveiled the S1, a circular smartwatch that's crammed with features that should mostly appeal to sports watch fans. Looking like a much sleeker version of its budget Band Z1 smartwatch/fitness tracker hybrid, the S1 is essentially the Huawei Fit but under a different name. It features a metallic body and is available in three colour strap options (Navy Blue, Deep Gray and Vibrant Orange). Weighing in at just 35g, it uses 18mm watch straps that can be easily swapped out to mix up the look and comes in short (130mm-200mm) and long (140mm-210mm) wrist strap options. With a big emphasis on fitness, it's been slapped with 5ATM waterproofing so you can take it for a swim, but it's not clear whether you'll get any Apple Watch Series 2 or Fitbit Flex 2-style swimming metrics. It'll also track multiple sports tapping into your phone's GPS to record runs, walks, cycling sessions as well as monitoring treadmill sessions. In running mode, you'll be able to view additional data including maximum oxygen update, VO2max and get an insight into ideal recovery time. A big new addition is the optical heart rate sensor that delivers 24/7 continuous heart rate monitoring but can also be used during workouts. An interesting addition is the heart rate training integration where the watch will give you buzz when you drop below a target heart rate zone to push you to work harder. There's standard activity tracking features on board including sleep monitoring to record deep sleep, light sleep and awake time. A smart alarm clock will help you wake up in the morning too. Honor has also included a inactivity mode to give you a budge when you've not been moving enough during the day. It'll also serve up notifications when someone makes a call or a text comes through plus there's the ability to reject calls from the watch. Honor is also offering mobile payments sans smartphone through Allpay. In terms of battery life, you can expect to get up to six days of playtime, although that will entirely depend on how frequently you tap into power sapping features like the heart rate sensor and full notification support. There's still some details we don't know like what's powering the S1 or the software it's running on. It had been rumoured that it would be packing Tizen, Samsung's operating system that impressed us on the Gear S2 and is on board the Gear S3 as well. 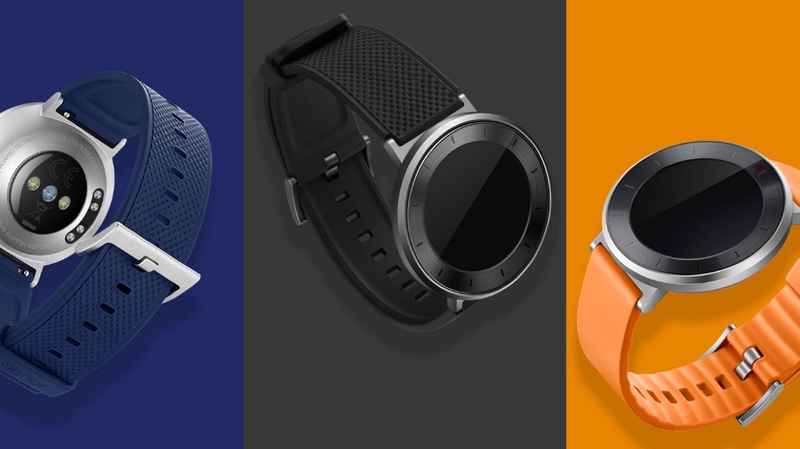 Including the Band Z1, this is Honor's third wearable having unveiled the UV sensor-packing Honor Band A1 fitness tracker earlier this year. If you want the Honor S1 smartwatch, it looks like it's going to be up for grabs in China for now. It's going on sale on October 25 for 699 yuan, which works out to around $104.